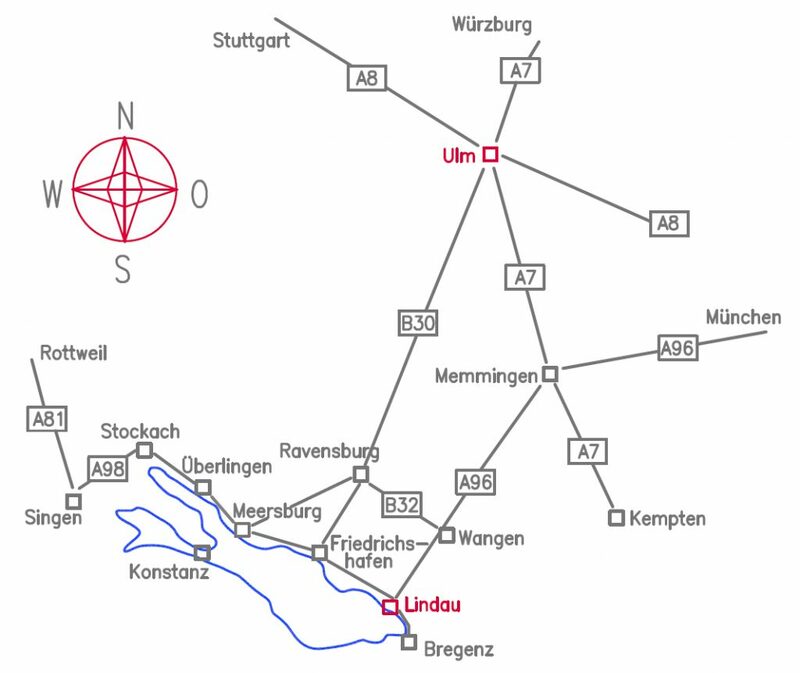 Follow the B30 up to Ravensburg, then take the B32 exit towards Wangen. exit Lindau, go straight on at the roundabout and then turn right into Bregenzer Straße. From Ulm on, take motorway A7 towards Kempten. At motorway junction Memmingen onto A96 towards Lindau. at the roundabout and then turn right into Bregenzer Straße. merge onto B12 to Lindau. This is Kemptener Straße. Continue until you can turn right into Bregenzer Straße. until the roundabout at Europaplatz. Go straight on at this roundabout, over the pier up to the roundabout on the island. cross the railway tracks and enter parking lot P5. you will find a short term parking facility. Follow the black routeing on the island-map. 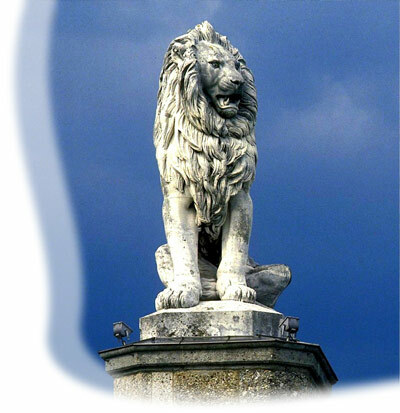 The majestic lion, enthroned above the lake is deemed to be the town's landmark. You want to view or print an entire description of the journey?